Carlos Cruz-Diez is internationally considered a master living artist of our time for his contributions to the theory and practice of color. Most recently in April 2012, he inaugurated a monumental artwork of architectural integration, consisting of walkways for the Miami Marlins ballpark. 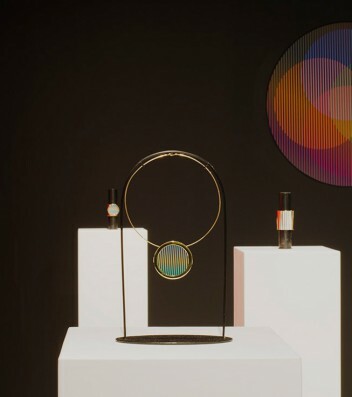 For the On/Sight program, Carlos Cruz-Diez will strongly intervene with the presentation of eleven pieces of jewelry, six of which were realized for the occasion of the fair and an op wall sticker specifically thought and designed for the booth. The focus of this representation will be on color, line and the viewer’s perception. 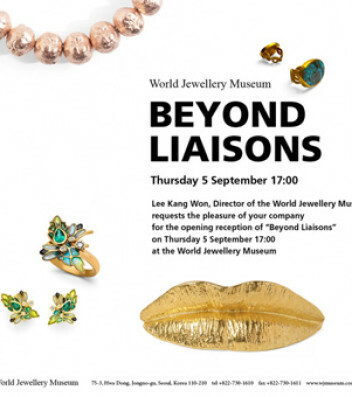 The World Jewellery Museum proudly presents Beyond Liaisons, the first major exhibition in Asia to explore the visual dialogue between art jewellery created by well-established international living artists and traditional jewellery from various cultures around the world. The contemporary artists featured in the exhibition include Jannis Kounellis (Italy/Greece), Ilya and Emilia Kabakov (Russia), Rebecca Horn (Germany), Wim Delvoye (Belgium), Tom Sachs (USA), Giuseppe Penone (Italy), Atelier van Lieshout (The Netherlands), Kendell Geers (South Africa), Giorgio Vigna (Italy) and Svatopluk Kasaly (Czech Republic). As part of the Design Onsite programme Elisabetta Cipriani will present ''Superficie'' a bracelet and a necklace designed by Enrico Castellani and realised with the same ingenious technique and tools applied ten years ago to create his works on paper. The geometrical patterns created in these jewels alternate positive and negative space and establish a strong interplay between light and shadow. "Superficie" are made in 18kt white as well as rose gold and each piece is an edition of 12, signed and numbered. On the occasion of the fair, a yellow gold satin version will be presented for the first time. 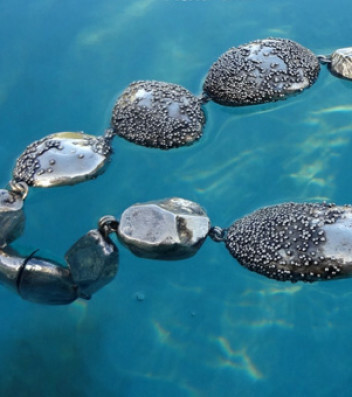 Elisabetta Cipriani- Jewellery by Artists is pleased to announce Giorgio Vigna Naturalia on Wednesday 30 May from 6-8pm. 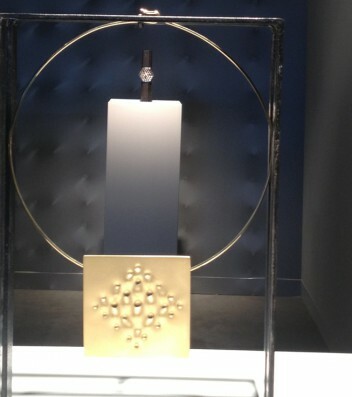 This is the first solo jewellery exhibition by Giorgio Vigna in the UK. Giorgio Vigna’s unique jewellery is the essence of natural elements in their most primitive and primordial state. They are geological adventures of earth and water, fire and wind, light and shadow, which form the basis of the artist’s research; where the natural and the artificial, the macrocosm and microcosm meet and collide and are defined through their opposition and contrast.